Mac laptops will still show the percentage of battery life you have left, just not how long you might expect that to go. 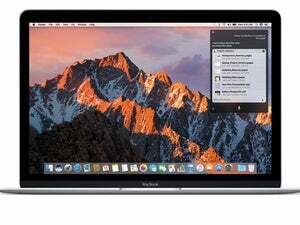 MacOS 10.12.2, out today, contains a fix for the graphical issues experienced by some owners of new (late 2016) MacBook Pros. That’s a good thing. But Apple also investigated reports of poor battery life, and found no evidence the batteries themselves were behaving unexpectedly. That doesn’t mean this issue isn’t getting a fix of sorts, however. In the new macOS, users will now get what Apple thinks is a clearer picture of how much battery is remaining—as a percentage, but no longer as an estimated time remaining. You can still have the percentage remaining appear in the menu bar, but if you click that or the battery icon itself, you’ll notice the “5:02 remaining” estimation is gone. The reasons for this change boil down this: the percentage is just more accurate. The time remaining can be misleading, since it’s calculated dynamically based on what the Mac is doing that very second. Background tasks can affect battery life significantly, and some, like reindexing Spotlight, syncing iCloud data, or performing facial recognition on your photo library, can stretch on for hours or days when you’re first setting them up (say, on a brand-new MacBook Pro). As your processor switches between power states, the time-remaining calculation will keep changing, and any one glance at it just isn’t an accurate picture. Our experience at Macworld HQ backs it up. We haven’t been able to replicate the battery issues on the 13- or 15-inch MacBook Pro with Touch Bar models we have in the office. Even when pushing the AMD GPU in the 15-inch version, we saw the time-remaining estimate plummet to between three and four hours, and then just kind of stay there, but the Mac itself kept trucking for a full workday regardless. Commenters on our Facebook page have reported battery life in the 3–4 hour range, but so far it’s unclear if those reports are based on unreliable time-remaining estimates, or if those users’ Macs really did clunk out after just a few hours. We’ll keep looking into this, but so far Apple’s reasoning does make sense—even if we’ll miss the time-remaining estimate. Apple’s new update should also communicate better the kind of background activity that might affect your battery life. We’d like to see more options in System Preferences > Energy Saver to dial back iCloud network activity when you’re not plugged into power, but the goal, after all, is to have data sync across devices as instantly as possible. Also improved are the setup experience for unlocking your Mac with your Apple Watch (something that frankly seems way too fiddly now that unlocking a MacBook Pro with Touch ID is near instant), as well as alerts around iCloud desktop and document sync. After those features launched, Apple got a lot of feedback that people didn’t understand where their documents were going when they tried to sync multiple desktops to one iCloud account. The alert dialogs for Optimize Storage are also now improved when your Mac starts to get full. If you write in Chinese, you can now add a button to the new MacBook Pro’s Touch Bar to enable Chinese Trackpad Handwriting mode. New MacBook Pro owners can also take screenshots of the Touch Bar with a Command-Shift–6 shortcut or by using the Grab app. Apple is rolling out macOS 10.12.2 to the Mac App Store at around 10 a.m. Pacific time on Tuesday. Full release notes are below.